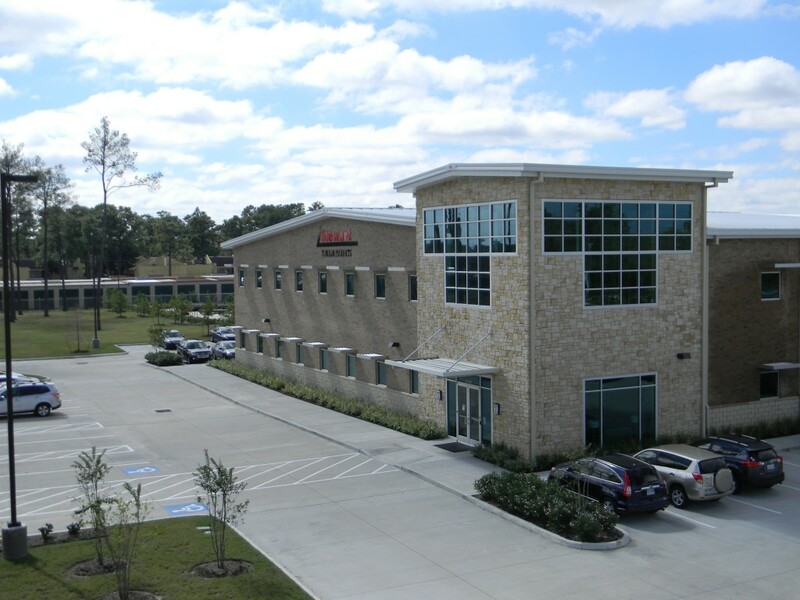 In 2013, the company purchased 15 acres of land on North Houston Rosslyn Road in Northwest Houston and began the design and construction of a new manufacturing facility. The building contains over 127,000 square feet under one roof, including a 36,000 square foot air conditioned machine shop, gage and quality control lab, warehouse and processing area. The storage yard is completely paved for easy movement of materials and equipment. The climate controlled gage lab includes two optical comparators, a mic-trac for gage set-up, and an extensive inventory of thread gages and measuring equipment. The spacious warehouse and processing areas allow completion and staging of customer orders 24 hours a day, regardless of weather conditions. Process capabilities include two computer controlled bucking units, two swage and stress relieve units, a wet magnetic particle inspection booth, and both zinc and manganese phosphate tanks. Main entrance to the office area of our beautiful new facility.